CognitiveTPG A798 Receipt Printer – A Better Printer at a Better Price! 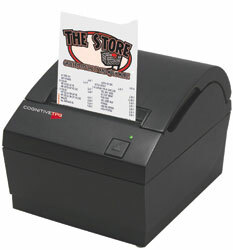 For assistance findng the right CognitiveTPG receipt printer for your needs, contact us at BarcodesInc. Finally a label printer small enough to fit in small spaces yet with the performance of larger industrial barcode label printers. The C Series printers literally can be used throughout your entire enterprise. 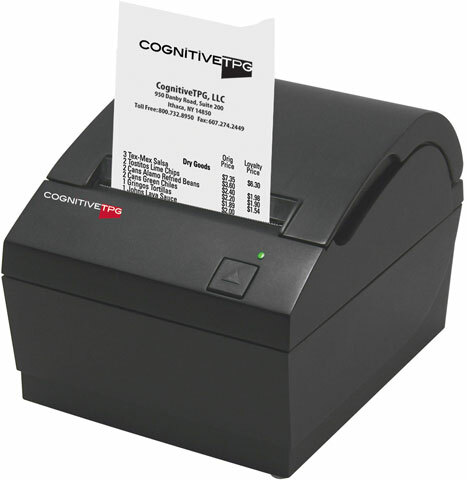 The C Series is CognitiveTPG’s most versatile line of thermal label printers. The size of a small desktop printer but with the capabilities of a big box printers these printers deliver value and functionality to fit multiple applications and industries. From the warehouse floor to the pristine hospital or pharmacy environment, C Series offer multiple connection options, fast print speeds, large roll capacity, ample RAM and Flash memory, and an LCD screen combined with a USB A port for standalone applications. For help finding the right label printer for your business, contact us at BarcodesInc. Exact Color Matching With the CognitiveTPG Advantage LX and Barcodes. Buying paint used to the first difficult step in painting a new room or home. Even after you’ve decided on the color to buy, inevitably you need to buy more paint to match that color. One major US Hardware Chain makes it easy to buy cans of paint with exact color match using the CognitiveTPG Advantage LX printer and barcode labels. With every can of paint mixed, an Ethernet-enabled Advantage LX prints a barcode label containing the pigment mixture used for that paint color. To match a previous color, a customer brings the paint can lid back to the store. The paint department scans the barcode label on the lid, and the terminal displays the paint mixture for the perfect color match. CognitiveTPG, leading provider of on-demand barcode and transaction printers, is pleased to announce that its A799 and A798 receipt printers are now certified to work with Aldelo’s POS software. The Aldelo For Restaurants software suite is a proven solution for thousand of restaurants and quick service operations around the world, offering software that enhances the customer operation and has an intuitive design. Aldelo’s products are based on an open architecture, allowing the customer choices when it comes to hardware selection. Celebrating the coming summer months, CognitiveTPG announced a promotion to entice its current, former, and possible future customers. The promotion is a video contest calling for loyal Blaster and Advantage LX owners to show off their old dependable printer. “We are calling the promotion ‘Wanted Alive’ and challenging current and former customers to show us the oldest operational unit in the field. We know what true workhorses these printers are and we know there are still many 10-plus year old printers in the field today, working,” said Angela Mansfield-Swanson, CognitiveTPG’s Marketing Director. The customer with the oldest operational unit will win a $500 Visa gift card. This promotion will run from June 1st through August 31, 2012. When a high-fashion designer and retailer, best known for its designer handbags and accessories decided to replace its receipt printing laser printers, they needed a thermal receipt printer that was capable of doing justice to their famous designer image. 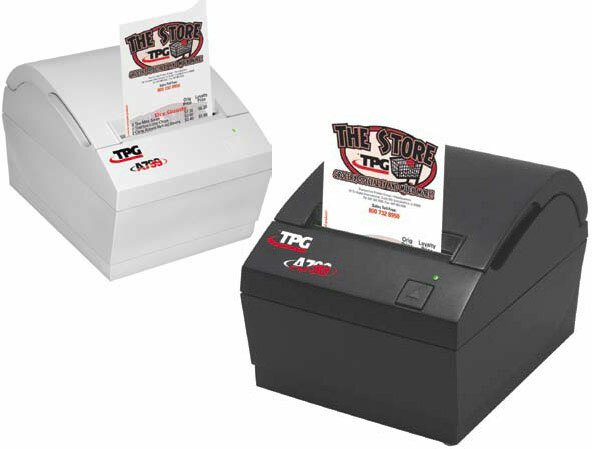 The challenge was finding a thermal printer capable of printing the company logo to their satisfaction. The switch from laser to thermal printing in any environment involves not only a financial decision but also operational considerations. A combined need to reduce printing costs, as well as the desire to reduce printer downtime and increase workspace, drove this high-end retailer to seek an alternate solution to their current laser printer setup. Thermal printers require no toner and have a footprint of up to three times smaller than that of a desktop laser printer.